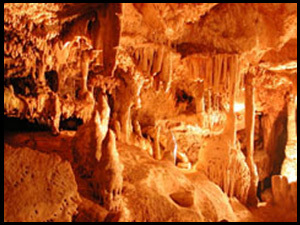 19km from Klein Afrika and 29km from Oudtshoorn, at the head of the picturesque Cango Valley, lies the spectacular underground wonderland of the Cango Caves. Situated in a limestone ridge parallel to the well known Swartberg Mountains, you will find the finest dripstone caverns, with there vast halls and towering formations. The Cango Caves is suitable for families as well as the adventurous at heart. You can choose whether or not you would like to squeeze yourself through devils chimney or just settle for the breathtaking views of the formations in the huge chambers.